While LG’s ‘rollable’ UHD screen made most of the early headlines at the Las Vegas Consumer Electronics Show (CES), Sony also wowed delegates with its introduction of a pair of 8K Bravia LCD displays (98” and 85”). Prices were not revealed. Sony’s Bravia Master series (Z9G range) are amongst the very first 8K displays on offer, and features its next-generation image processor X1 Ultimate equipped with 8K ultra-resolution algorithm custom database, enabling the 8K X-Reality PRO to up-convert any content to 8K resolution. 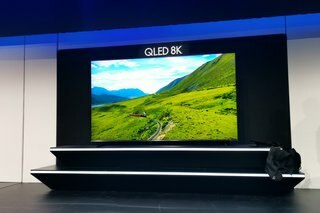 Sony is also offering OLED displays but only in 77”, 65” and 55” sizes and also equipped with its X1 Ultimate processor.